PLEASE don’t hate me for bringing you pumpkin when it’s only September 6th. You have to hear me out. I woke every morning last week to frost on the ground and 30 degree temps. Yes, I am so serious. Here’s the thing, I expect this. I live in a pretty cold place, and honestly, our fall typically starts towards the end of August and ends by October 1st. I am not complaining or anything, it just is what it is. SO, instead of fighting it, I am embracing it. Ok and the truth? I was just freezing and my new-found love of coffee made me REALLY want to try a pumpkin spice latte. I know it’s early and if you are just not ready for this yet, I get that. Come back in a couple of weeks, or even in October. Whenever you are ready is fine, but just make sure you come back. This is a recipe you simply will not want to live without. I am full on addicted. I even got my mom on board Friday afternoon. The weather was cold, wet and rainy (at one point it got so cold I thought it was going to snow…please no snow…I can’t…not yet) and she couldn’t resist the warm smells of cinnamon, coconut and coffee. I mean, then again, can anyone?!? The best! I think you all know by now that even though I love summer to death, fall will always be my favorite. 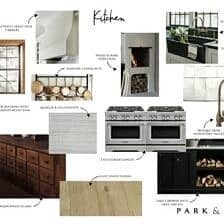 I love all the cozy things, so when the weather starts to turn, and the leaves begin to change, I am ALL IN. It’s kind what I live for, what gets me through the remaining eight months of the year. <–truth. For those of you who are all, “bring on fall”, this is your post. This is your recipe. This is your everything for the next three to four months. Also, I know I said I would not even bring up pumpkin till mid September, and I honestly had every intention to be true to my words, but then a few things happened. I started drinking coffee. I started liking coffee. I made this latte. I got way too excited, and for the life of me just could not wait to share it with you guys. I was planning on waiting until the last week in September, but then I consulted with my mom…and it was all down hill from there. Basically, she made the point that she craves pumpkin beers ALL YEAR LONG and that if she could start drinking them in early, early September she would (and she has!! I totally bought all the cute bottles of pumpkin beers at the store this week…I am PUMPED, and clearly so is my Mom). Then she said to me, I’m sure there are a lot of people out there who feel the same way about a pumpkin spice latte that I do about pumpkin beer, you don’t want to keep them waiting do you? And then I was sold. Done and done. So today, we talk a little coconut, a little pumpkin and a little spice. If you could not already tell, I am a tad excited. For those of you who love pumpkin spice latte, but hate all the “bad for you” things about it, I have good, GOOOD news! I went and made a healthy version, and I promise it’s better than anything any barista could serve you (and cheaper too!). 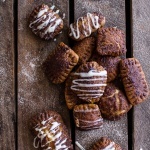 Like it’s so flipping delicious and creamy, and pumpkiny and cinnamony and… well, perfect! 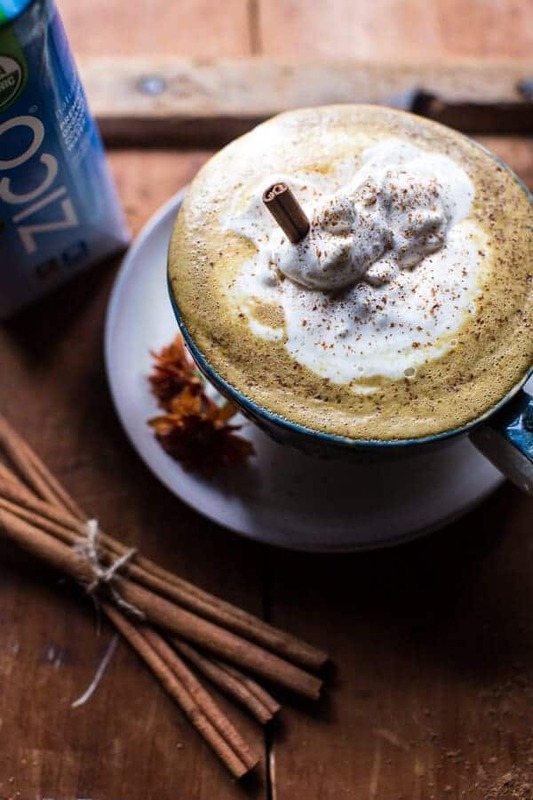 To bump up the flavor and health factor of this latte, I used ZICO’s new Organic Fair Trade Coconut Water as my base for the coffee portion of this latte, which has just one ingredient: 100% natural coconut water (no added sugar). GEEK FACT: did you know that coconut water has as much potassium as a banana, it’s an incredible source of electrolytes, supports good hydration and is naturally, gluten, fat and cholesterol free??? It is, it is! Simply drinking it straight up is beyond delicious AND it’s especially great after workouts because it replaces electrolytes and hydrates you!! Aside from what you may be thinking, the latte is still just as creamy as any other and it’s FULL of so much flavor. To sweeten the latte I used just a little bit of pure maple syrup. You can add the maple to your own tastes, but I think my ratios are pretty spot on. Just slightly sweet, but not so sweet that you can’t drink this every morning. I also really bumped up the cinnamon…cause cinnamon is my FAVORITE… YUM! Oh, and the latte is really pretty quick and easy to make. My guess is that you already have all the ingredients on hand right now. Well, maybe not the pumpkin, but you should really start stocking up on that ASAP. 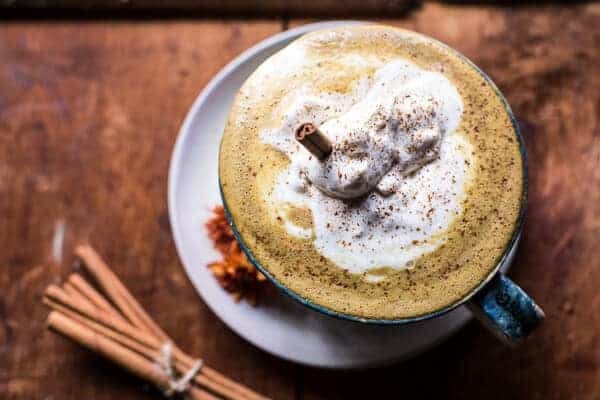 Same goes for the coconut water, because after trying this recipe, you are going to quickly realize you will need a daily coconut pumpkin spice latte fix. The other good news about this latte is that the homemade version will not cause you to go broke. Meaning you will still have money left for Christmas gifts this year!! It also won’t leave you with a sugar high that ultimately leads you to a mid-day slump. Nope, none of that here! Ok, and for those you perturbed by my premature excitement for this drink, fall and all things cozy, I am sorry. Today was just a little hiccup and I promise no more pumpkin for a few weeks…tomorrow will be better for you…I am talking football!! 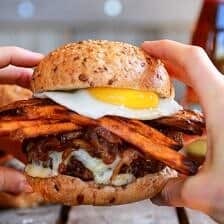 The homemade version will not cause you to go broke. Meaning you will still have money left for Christmas gifts this year!! It also won't leave you with a sugar high that ultimately leads you to a mid-day slump. Nope, none of that here! 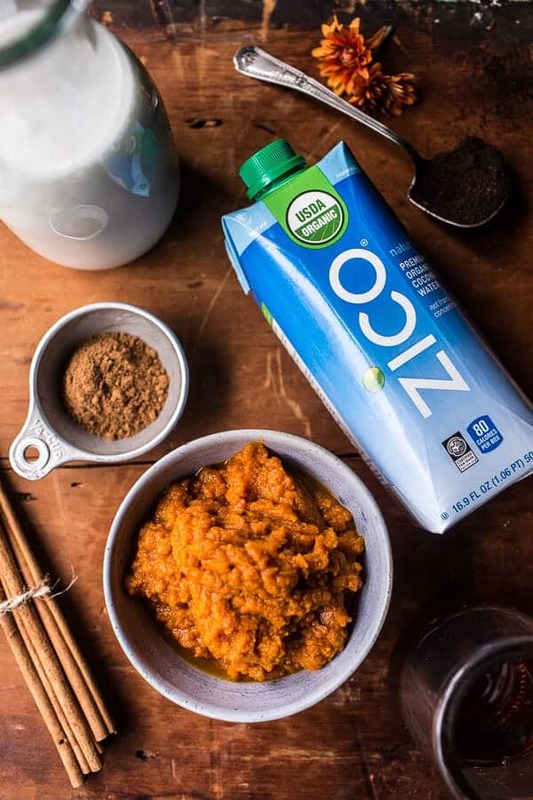 In a large 4 cup glass measuring cup, combine the coffee grounds and Zico Organic Fair Trade Coconut Water. Cover and let sit at room temperature overnight or up to 4 days in the fridge. The next morning, strain the coffee through a thin kitchen towel, cheesecloth or coffee filter. Set the filtered coffee aside. If in a pinch, you can combine the coffee grounds and coconut water in a small sauce pot, cover and bring to a simmer. Simmer 5 minutes and then remove from the heat and let sit another 5 minutes. Strain the coffee as directed above, keep warm. In a small sauce pan, combine the pumpkin, pumpkin pie spice, a tiny pinch of black pepper and the maple syrup. Cook the mixture, stirring often until the pumpkin is hot and fragrant. Slowly stir in the coconut milk, 1/2 cup Zico Organic Fair Trade Coconut Water and vanilla. Bring the mixture to a low simmer, stirring often to ensure the mixture does not boil over. When then mixture is steaming hot, remove it from the heat. 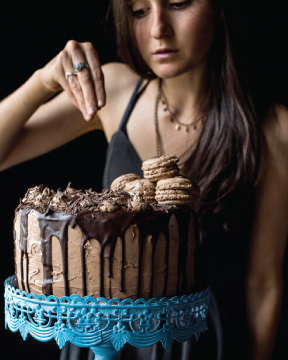 Using a small whisk or a fork, whisk with all your might until frothy (or add to a blender and blend for 1 minute). Now take the warm coffee and if needed reheat on the stove or for one minute in the microwave. Pour in a mug and then add the frothed milk mixture. Top with whipped cream and a dusting of cinnamon if desired. 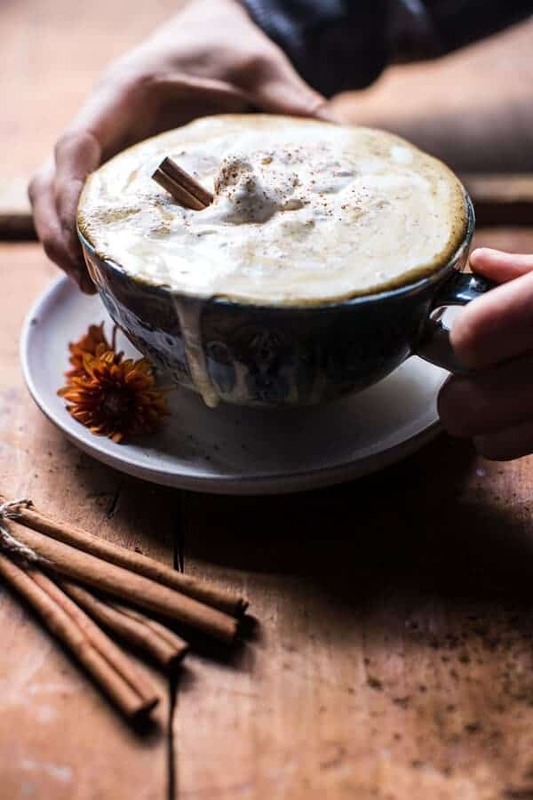 *I like to make my own pumpkin spice mix using this recipe: Combine 1 tablespoon ground cinnamon, 1 1/2 teaspoons ground ginger, 1/2 teaspoon nutmeg, 1/4 teaspoon all-spice and 1/4 teaspoon cloves in a small bowl. Stir to combine. Store in a sealed jar for up to 1 year. *This recipe can easily be halved to make one cup or doubled to make four cups. But really, tell me that doesn’t look just perfect?!?! Pleeease…gimme more! 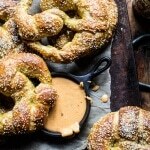 Pumpkin Beer Pretzels with Chipotle Queso. Okay I guess this may be a bit blasphemous to ask but… Would it be possible to make this with instant coffee? And, if so, would you just substitute it for the same amount? Hi Dina!! Istant coffee will work great. Just sub equal amounts. Hope you love this! yay, psl’s that actually have pumpkin! i have some coconut water that i have trouble drinking alone (it’s not quite water and it’s not quite coconut milk and i still don’t know what to think of it), and this sounds like a really good way to use it. I LOVE autumn and Pumpkin Spice Latte’s, I’ve already bought 3 in the last 4 days so I’m looking for an alternative. I’m not a huge fan of coconut so can I replace it with milk or anything else perhaps? I never think of pumpkin until late Oct. or early Nov. It is apple season to me. HA!! We live not too far from Apple orchards and it is about to be in full swing. Actually just went a couple weeks ago to get the last of the peaches. Also got some apples. 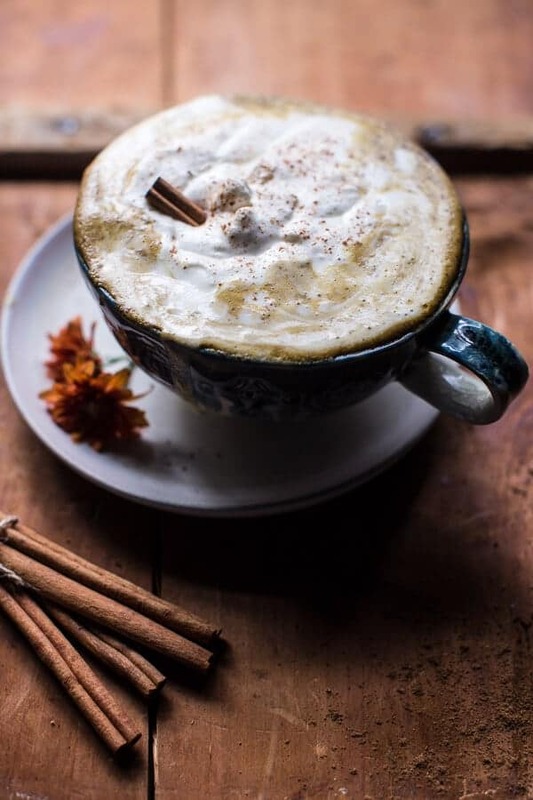 I just finished a cup of pumpkin coffee so this is right up my alley…your photos are awesome as usual..it’s cold this am where I live too so a warm frothy drink is a necessity. Your excitement is infectious!!! I’m in Miami and so waiting (not so patiently) for Autumn. But coffee is a daily habit and pumpkin spice is great any time of the year. right? I don’t like the smell or taste of coffee. My mother wouldn’t start her day without coffee and this sounds like something she would have loved since she loved coconut. Tieghan this looks INCREDIBLE. Like, holy cannoli I need this in my life pronto. This looks so amazing! I will have to try. It is never too early for pumpkin! I am one of the pumpkin lovers who can’t wait to start eating/drinking anything pumpkin! I was looking for a homemade recipe for psls, because the Starbucks version is so high calorie and full of sugar. It’s still really hot here in Canada (the humidity is disgusting right now), but I”m still going to bring one of these on the train with me to work next week! Thanks! Bring on the pumpkin! 😉 I love love love this latte! 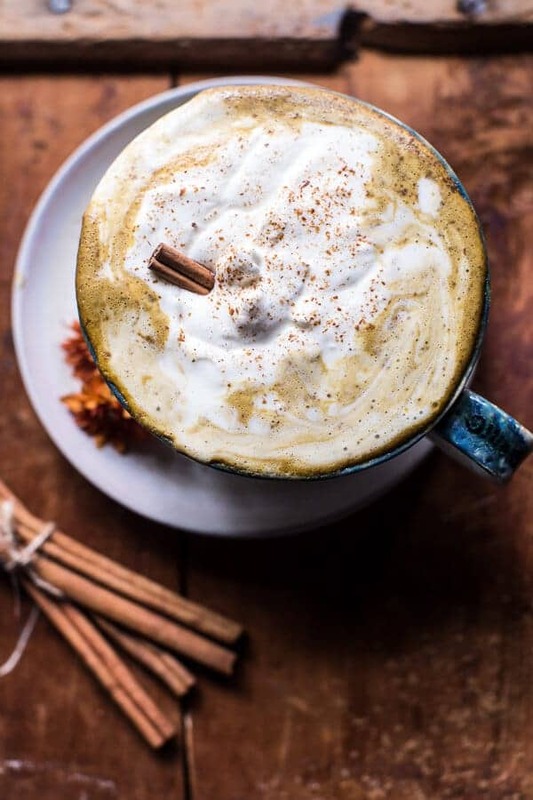 Never apologize when it comes to pumpkin spice lattes! Especially when they are skinny and don’t break the bank. I can almost smell the cinnamon. Gotta say this site is amazing. I found a few crock pot recipes from 2013 (making the beer braised chicken and beer bread right now) and they are life savers. Quick and easy and delicious. Thanks for sharing these great recipes, looking forward to more crock pot dishes. Yum! 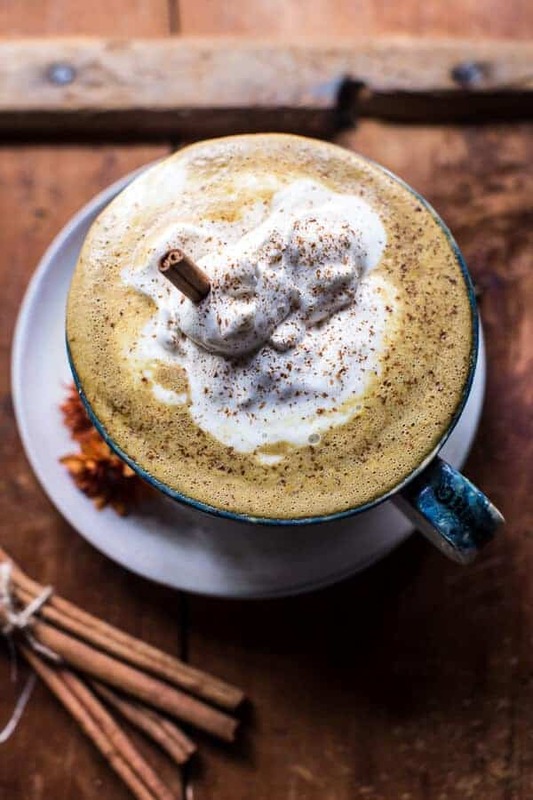 There’s no fall here in south Florida, but I don’t mind sweating over a pumpkin spice latte. And coconut water is great for hydration! I mean, I don’t feel one way or the other about pumpkin, but I totally adore coconut in every way, shape, and form. 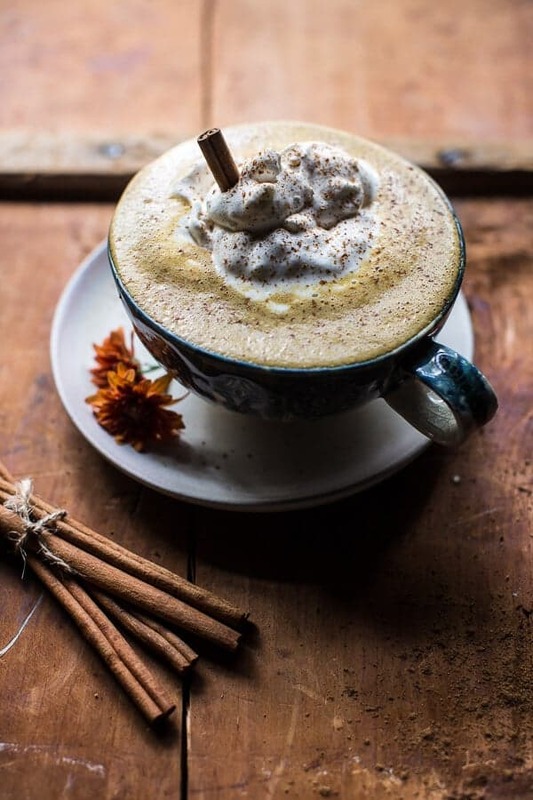 Its never too early for pumpkin recipes.. or hearty Fall drinks like this! Totally love this healthy recipe Tieghan. You married my favorite things! I love everything about this Tieghan and I can’t wait to try it! 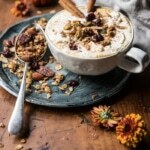 Love the idea of a pumpkin cafe au lait! Ok… I just found you, and I’m already in love with you. 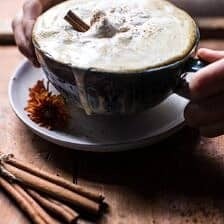 Recipes for butter paneer and actual pumpkin spice lattes? I have no words. 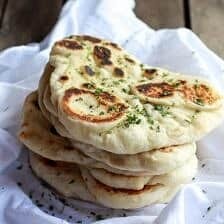 Love all these recipes Tieghan, thanks for sharing them! 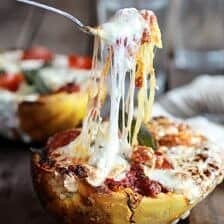 I will definitely be trying this recipe soon! I think it’s full on pumpkin season right after Labor Day. Where did you get the pretty mug? I love handmade pottery! Thank you so much, Jamie! Hope you love it! 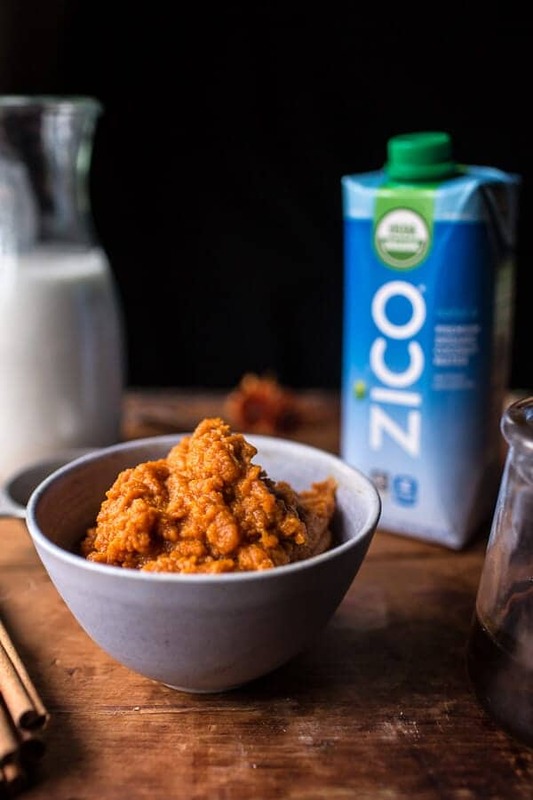 Pumpkin and coconut actually taste INCREDIBLE together. I love this combination! I was at the airport yesterday and since there’s no Starbucks near where I live, I decided to go get a “real” pumpkin spice latte. The biggest one they would get me. I was totally looking forward to it, thinking it must be even better than the ones I made at home over the weekend. But I was SO disappointed. Yours is so much better! I do use regular coffee and I use regular skim milk, so I don’t make it exactly like you do since coconut water is slightly hard to come by and very expensive around here; but I LOVE IT. Thank you so much for sharing this recipe! buyer base, probably bringing them repeat business. 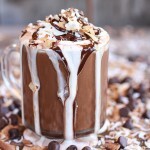 That looks delightful, especially the frothy look. Thanks for the recipe, I’m going to be trying it very soon. This looks really nice. i love all these recipes about pumpkin and will try one. Did you really mean canned coconut milk?? That’s got 120 calories per 1/3 cup and this calls for 1 1/2 cups!! Hey Molly! Yes, I like to use canned coconut milk, but please feel free to use your preferred milk of choice. Let me know if you have other questions. Thank you! ? What a wonderful latter recipe and particularly good for a day like today! Happy halloween!! 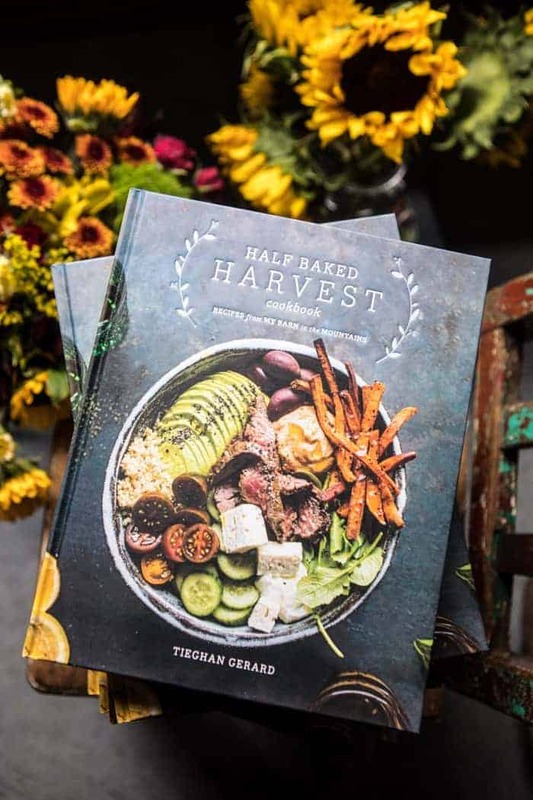 wow, just loved this Half Baked Harvest, thanks for sharing ! This is an absolutely brilliant recipe. Would love to give it a try! Thanks for your recipes. Thank you so much, I hope you get to try it!